A forum to explore the relationship between our politics and our evolution - and what people think about this today and what they have thought about it in the past - and I might even speculate on the relationship between the two every now and again. Mark E. Borrello, Evolutionary Restraints. The Contentious History of Group Selection. Chicago: Chicago University Press, 2010. One of the best books I've read in a while that has given me real food for thought is Mark Borrello's Evolutionary Restraints (2010). In fact, the more I think about it the book I am working on, Political Descent, seems almost to work as a 'prequel' to Borello's study. My focus is on debate about the politics of evolution (and selection) from Darwin up to the mid 1920s when the marxist geneticist J.B.S. Haldane mooted the possibility of a genetic model for the evolution of a genuine "other-regarding" altruism, Borello's focus is on the later debate about group selection involving Vero Copner Wynne Edwards. 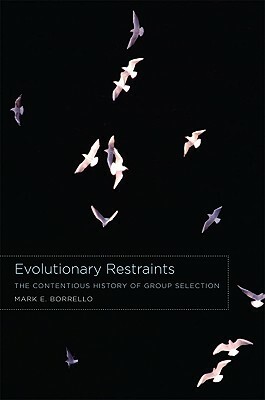 Evolutionary Restraints is a detailed genealogy of the ‘contentious history of group selection’ in evolutionary biology, which Borrello explores, in part, through the biography of Vero Copner Wynne Edwards, the man whose name has become synonymous with the concept following the 1962 publication of Animal Dispersal in relation to Social Behaviour. As Borrello shows, though, the history of group selection is deeper and broader than this. Not only did the Russian geographer and zoologist Peter Kropotkin clash with Thomas Huxley over this issue in the 1880s and ‘90s, but Darwin also explicitly invoked group selection both in relation to the evolution of both the social insects and the social instincts - both of the higher animals and of man. Thus, in contrast to the partisan opinions of Michael Ruse (1980) and more recently of Helena Cronin (1991), Darwin and Wallace were not the fountainhead of individualist orthodoxy, and each was quite comfortable appealing to group selection when it suited them. Further, so too was almost every other nineteenth and early-twentieth century biologist of significance, August Weismann among them. As Borrello points out, this much was hardly surprising given debate about the compound individuality of primitive “communal organisms” such as the marine invertebrate Portuguese Man-O’-War and coral polyps. It is chapter three before we meet Wynne Edwards, and Borrello allows the story he tells of the development of Wynne Edwards’ ideas to echo those of Kropotkin quite explicitly. Wynne Edwards’ own history took him from Oxford to McGill in Canada before later returning to Aberdeen. Like Kropotkin, who had surveyed the expansive Siberian Steppes, the environment in which Wynne Edwards pursued his field studies were similarly harsh and sparsely populated; to both men it was evident that the ‘struggle for existence’ went on between organisms and their environment much more so than between competing organisms. By 1939, in his paper on the intermittent breeding of Wynne Edwards was already framing his observations of bird populations in the context of the group selectionist theory with which his name was to become inextricably linked. Wynne Edwards estimated that only 1/3rd – 2/5ths of the breeding colony appeared to be engaged in rearing offspring and hypothesized that this non-breeding behavior was an evolved strategic behavior to regulate their numbers in order to avoid the threat of over-population. This explanation of the social behavior of breeding populations brought Wynne Edwards into conflict with fellow ornithologist David Lack. Lack was the first to make the case that the variable beak morphology of the finches were adaptations resulting from selection operating not – as Wynne Edwards had argued regarding his Fulmars, to prevent the population running up against limited resources, - but precisely because population ran up against limited resources. As Rosemary and Peter Grant would later illustrate, what we now know as ‘Darwin’s finches’ are a perfect illustration of Darwin’s theory of divergence. The battle lines between Lack and Wynne Edwards were publically drawn at a session of the British Ornithological Union on population ecology, the proceedings of which were later published in the journal Ibis in 1959. As Borrello tells it, the battle of words was carried on by proxy, with Wynne Edwards stuck in the United States at the time, George Dunnett, one of his students, presented in his stead. It was in “Control of Population Density through Social Behaviour, A Hypothesis”, the paper that Dunnett read, that Wynne Edwards suggested that populations self -regulated through social conventions informed by what he called ‘epideictic’ behavior – behavior through which populations actively assessed their own population density (p.69). With Lack on home ground, he sealed the advantage, as Borrello’s research shows, however, Lack had no better empirical grounding for his own theory. It is important to recognize, and this is one of the key contributions that Borrello makes, that Wynne Edwards was not the lone group-selectionist voice in the wilderness that received wisdom would suggest. Indeed, he was encouraged not only by the population thinking of the synthesis to see his own work as a part of the intellectual vanguard of modern biology, but by the fact that almost all the main players in the synthesis entertained some level of group selectionist thought. An analysis of key first-edition synthesis literature shows that E.B. Ford, Theodosius Dobzhansky, Sewewll Wright, Ernst Mayr, G.G. Simpson and Julian Huxley, among others, all acknowledged that selection occurred on a number of levels. Thus despite the loudly proclaimed unity in biology that accompanied the 1859 centenary of Origin, the reaction to the publication of Wynne Edwards’ Animal Dispersal in 1962 reveals that there was still much that remained unsettled on what might reasonably seem to be some fairly basic issues. Animal Dispersal was a monumental work of some 653 pages, and although it provided little in the way of statistical analysis or sophisticated population modeling, it was packed with decades of detailed field observations in support of Wynne Edwards’ hypothesis. As Borello notes, the book was consciously modeled on the concilient structure that Darwin had employed in Origin, it was ‘one long argument’ linking behavior and population size. Selection at the level of the group, Wynne Edwards concluded, “was much more important that selection at the individual level” (80). Public concern over broader environmental issues about sustainability and population growth that would later fuel enthusiasm for Paul Ehrlich’s 1968 Population Bomb, ensured Wynne Edward’s book a ready audience. Non-specialist commentators read his book as corroborating their own beliefs that any number of modern social ills could be explained in terms of a neurotic population stressed beyond its limits. However, public acclaim quickly gave way to professional ambivalence. Even former mentors like Charles Elton were little more than lukewarm, confessing he found Wynne Edwards’ account not only dogmatic, but its author guilty of “woolly thinking” (86). Lack was not far behind, and even less kind, affronted, perhaps, that Wynne Edwards had appropriated the term ‘dispersal’ from his own Natural Regulation of Animal Numbers (1954) only to give it an entirely different meaning than Lack had employed. To Lack it had signified no more than the non-random distribution of species, to Wynne Edwards, it was the result of a communally policed strategy. Borrello notes again, though, that although Lack’s criticisms were perhaps the loudest, his argument relied primarily on parsimony and a sympathetic ear from the individualist inclinations of the post-synthesis community. G.C. Williams made Lack’s rejection of Wynne Edwards orthodox in his now canonical Adaptation and Natural Selection (1966). In it Williams clearly stated that identification of adaptations “should be attributed to no higher level of organisation than is demanded by the evidence” (107-8). Further, selection would always act to maximize the mean reproductive level, over and above any role that multiple environments played in determining selection coefficients. Most damning, though, was his rejection outright of group selection which he presented as fundamentally opposed to genic selection. Despite attempts to appear reasonable, in private correspondence with Lack, Williams confessed he found Wynne Edwards’ thesis laughable and had found it difficult “to avoid the appearance of sarcasm or ridicule” (111). 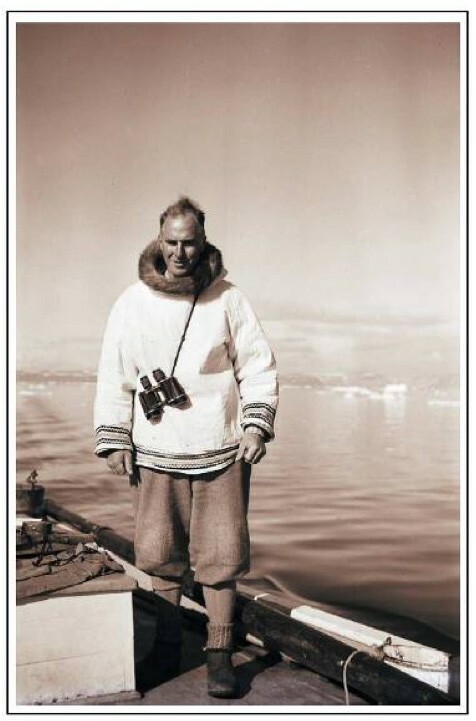 Wynne Edwards faired little better at the hands of the ethologists Niko Tinbergen and Konrad Lorenz, who, despite the superficial similarities in their research also found reason to differ. Tinbergen’s focus was on fitness that particular behaviours bestowed upon individuals, Lorenz stressed the invariability of instinctive behaviours. Wynne Edwards perspective kept him always an outsider in the developing field. The fact that Tinbergen and Lorenz shared the 1973 Nobel Prize for Physiology and Medicine with Karl von Frisch, while Wynne Edwards was only further marginalized only set the tone for future developments. The increasing emphasis in biology upon mathematical modeling at the molecular level cannot be under-estimated in keeping Wynne Edwards work under fire. G.C. Williams, W.D. Hamilton and John Maynard Smith proffered gene-level explanations for all the observed phenomena that Wynne Edwards described. Even though Maynard Smith’s ‘Haystack’ model showed that group selection was a theoretical possibility, the parameters of the model showed it not only to be extremely unlikely, but also indicated that any altruistic community that came about by such mechanisms would be fragile and vulnerable to invasion by selfish individuals. Indeed, it quickly became the go-to weapon in the arsenal of critics of group selection. E.O. Wilson’s Sociobiology and Richard Dawkins’ Selfish Gene took popular biology to a new level and in doing so sealed the fate of group selection in what Borrello calls “the dark ages of group selection” (136). Dawkins made explicit the contempt for group selection theory that Williams had kept private. Wynne Edwards was not to be silenced, however, finally publishing his second magnum opus, Evolution through Group Selection in 1986, in which he attempted to explicitly align his own work with Sewell Wright’s much earlier simple quantitative model showing that individually disadvantageous, but socially advantageous traits could evolve through group selection. “My task” Wynne Edwards wrote, “is obviously to show that the group selection I advocate is not essentially different from Wright’s in raising average individual fitness, and is not fragile either.” His intention, Borrello notes, was clearly to “salvage his theory from oblivion” (145). It was not to be. Wynne Edwards was either unable or unwilling to adapt his position on group selection to adequately take account of the many advances that had been made in the field since 1962. 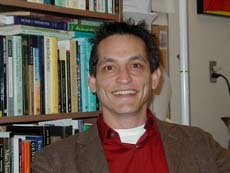 Being seen to be talking past rather than to his colleagues undermined his professional reputation and as a result, Borrello argues, “he essentially wrote himself out of the debate” (147). In the intervening years, philosophers and biologists had taken the debate to new and theoretically more sophisticated territory. David Sloan Wilson and Michael Wade had embraced kin selection as one form of group selection, negating the ‘either-or’ scenario that Williams had painted. Also, D.S. Wilson and Elliott Sober (1998) challenged the limited presumptions of Maynard Smith’s Haystack model of group selection. Selection at the level of the group, they demonstrated, was not only mathematically plausible, but a highly likely, and a highly stable possibility. As Borello concludes, Wynne Edwards’ attempts to remain a significant player in the debate over group selection as it became reframed around the levels of selection were frustrated in part by the mathematical turn in theoretical biology, but, perhaps more seriously, were dogged by his continued refusal to engage with developments in the field, - despite the pleas of editors and referees. He was not helped by the fact that few journal editors were willing to entertain what was by now deemed out-dated heterodoxy. But what should we make of this story? What was the significance of Wynne Edwards’ career in biology? Certainly Wynne Edwards challenged others to think deeply about how one might account for the observed phenomena as a result of either genic or organismic selection, however, in light of more recent, if grudging, acceptance of hierarchical selection, Wynne Edwards was also an acknowledged influence for present day advocates of an albeit more sophisticated group selection. Further, though, this story is also about the nature of science and about the peculiar relationship between the empirical world and our best perceptions of it. Borello asks, when Kropotkin and Wynne Edwards look at the world and see what they see, and when Huxley and, say, Williams look at the world and see what they see, what is it that leads them to such different conclusions? In this instance, both Kropotkin and Wynne Edwards approached nature with a full appreciation of Darwinian natural selection. With Kropotkin and Huxley we might appeal to their deeply held political commitments. As an anarchist, Kropotkin just could not see the competition in nature that to Huxley’s liberal mind was only too evident. To what extent is biology still deeply imbued with politics? As Borrello points out, there remains a lot at stake about the nature of man in the question over whether altruism can ever be truly genuine, as well as about whether the group dynamic is the faciltator or the oppressor of personal liberties. It would be strange if the politics of biology were not at work in the post World War Two and cold war years just as they were in the industrial revolution. It is here that historians not only have an insight into what occurred in the past in this debate, but have an opportunity to contribute to ongoing discussions of the hierarchical nature of evolutionary theory. In addition, of course, the history of a science is relevant to its practitioners too, not only in terms of thinking about the processes and practices of science, but in the sense that, as Borrello points out, many of the common misunderstandings of evolution to which students in biology frequently fall victim, are a direct result of the exclusive application of natural selection at the level of the individual. In sum, Evolutionary Restraints is a compelling book and a challenging one. It will be required reading for historians and philosophers of biology, but also clearly warrants the attention of behavioural ecologists. More sophisticated than Dugatkin’s Altruism Equation (2006), Borrello’s work provides us with a new perspective on the history of group selection that really does make us have to rethink its most vociferous condemnation in preference to selection at the level of the gene. The prevalence of group selectionist ideas throughout the synthesis years cannot be ignored in the same way that a solitary figure, however prominent, can be marginalized and cast as eccentric and imprecise. Sewell Wright, and Dobzhnsky, as well as Mayr were only three notable figures who argued that selection occurred at multiple levels prior to what has been referred to variously as the ‘hardening’ or ‘constriction’ of the synthesis. Mayr was not alone in insisting that the individual organism, as the entity that interacted with the environment, must be the entity exposed to selection, and not merely the genes it carried. Of course, counting genes is important, but this much is really just so much book-keeping without an awareness of the interactions that lead to their survival. This, of course, demands attention not only to the gene, but to the individual in the context of the population and the environment. I'm Associate Professor in the History of Modern Science at the University of Oklahoma. My main interest is in the history of evolutionary thought and the social and ethical implications that people have drawn from the fact that we are evolved animals.